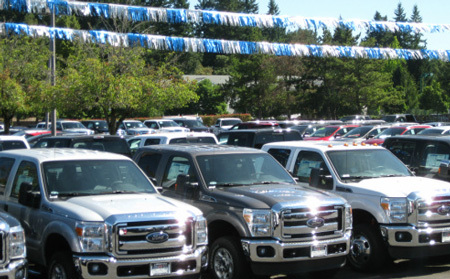 The AutoMap system provides dealerships the means to take total control over their inventory. We specialize in vehicle location across large and multiple lots, reducing the time it takes to connect your customers to the perfect car. Our Bluetooth Low Energy based OBD2 module has been engineered for the harshest climates, and with an industry low power draw, our module will have virtually no impact on your inventories batteries has no internal batteries to replace. Setup is simple! Each vehicle takes about 30 seconds to install and requires zero manual entry. Once your vehicles are uploaded into the AutoMap system you will be able to search by VIN, stock number, or model. With AutoMap, you will know which vehicles need a jump, have too little (or too much) fuel, and are throwing error codes.